Never before has sketching had so much sass. 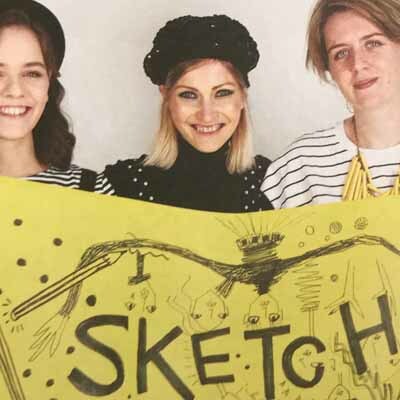 Sketch Appeal is a freewheeling, straight-talking romp through creative expression through the simple act of drawing. There’s no need to fork out for bespoke paints or fancy brushes, this is where art is utterly accessible and, above all, welcoming. Here, the pen and pencil reign and they are mighty. Pick up your instrument of choice and dive in. 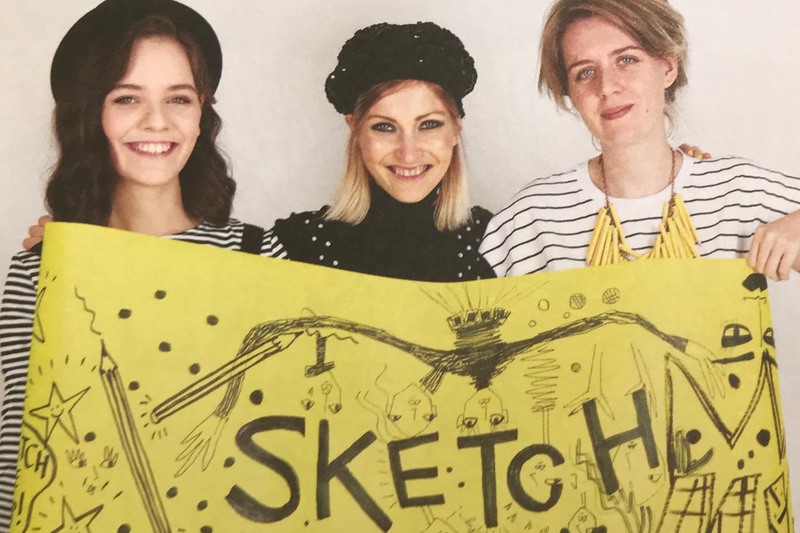 Founded by London-based Dulcimer Draws, Sketch Appeal already has a broad fanbase and holds regular gatherings in London to unify fellow women artists and sketchers in zine-making and workshops. With the publication of its first print issue it is set to steadily grow even further. Despite its unassuming cover in a shock of white, black and yellow, it unveils a cacophony of colour, texture and talent, whilst also incorporating a range of styles into a well thought out mishmash of creativity. Interviews with Lorna Scobie, Ilu Ros and Trina Dalziel paint – or should I say sketch? 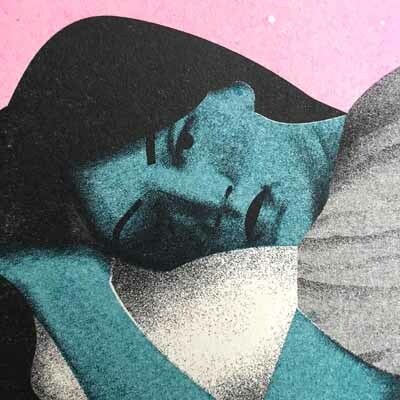 – a portrait of what life is like as an illustrator and artist. In fact, the sheer range of features on artists, from the professional to the amateur, shows how expression through art affects an entire lifestyle. Perfectionism is something to steer away from, not to pursue, and the action of drawing is often more important than the finished result. Sketching can be a job, but it can also be a form of therapy, something which allows you to completely express yourself without hindrances. As an obvious lover of independent magazines, their championing of its little sibling, the zine, is well-received by me. 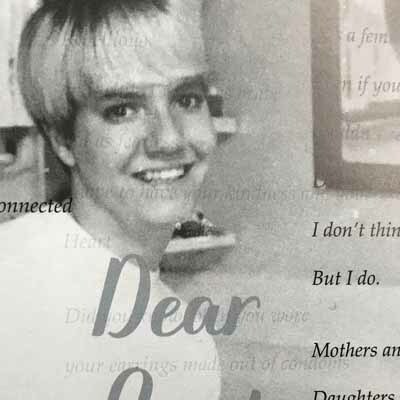 Kayti Peschke, founder of Caboodle, takes time to discuss the pros and pros of the zine, from its simplicity and accessibility, to how it feeds creative culture. This takes drawing from your desk or living room to the outside world, able to shape and inspire the people around you. You need not go it alone, either. There’s lots of advice on how to get started, such as which pens to buy, from the cheap and cheerful to the investment worthy, and workshops to attend. In this issue, Amsterdam and Manchester are scoured for local artists, galleries and shops in which to let your creative juices flow. The most fun thing about Sketch Appeal is that it gives you little tasks here and there to get stuck into. Turn splodges into animals, draw fifty faces in fifteen minutes and even draw to the beat of a song. Throw an arty party, bake some cookies – basically, just let loose! It’s very hard to refuse when it’s all so enticing. By the end of the magazine, having done all tasks and read it from front to back, you should have something which reflects your own creativity. Sketch Appeal is not only a magazine, it’s a community and one which looks after its devotees with enthusiasm. It’s a joy to be involved.